There is a need to understand that many people find it more comfortable to shop for their branded eyewear at a store near them. This is why there are any GKB Opticals stores near you or in a city near you. Most people find their spectacles are best made by an Optical store. The leading optical store in India, GKB Opticals is providing easy access to branded eyewear from the leading brands from national and international web sphere. While there are many branded eyewear in India available at GKB Opticals website and their stores that for buying branded eyeglasses in India, their stores are the best place. No matter what you like, you can definitely get great options at the GKB Opticals, the leading optical store in India. Online shopping is all the rage right now and people are shopping online for everything, starting from food, clothing, electronics as well as eyewear. The premium spectacle frames range so now available at exciting prices from the GKB Opticals. The stylish new collection of branded eyewear is stylish for the people who want to buy glasses online India and can provide their PD and other details online. Shopping online from spectacle frames is easy and getting complete spectacles with branded frames is also easier than earlier. The premium spectacle frames are available at discounted rates too, which can be availed on multiple international branded eye frames online or at the GKB Opticals stores. It’s definitely easier to purchase prescription glasses online now, but with stores offering hands on option to look, touch and feel the products, if you’re in a metro city, definitely you can see the product in front of you at a store near you. 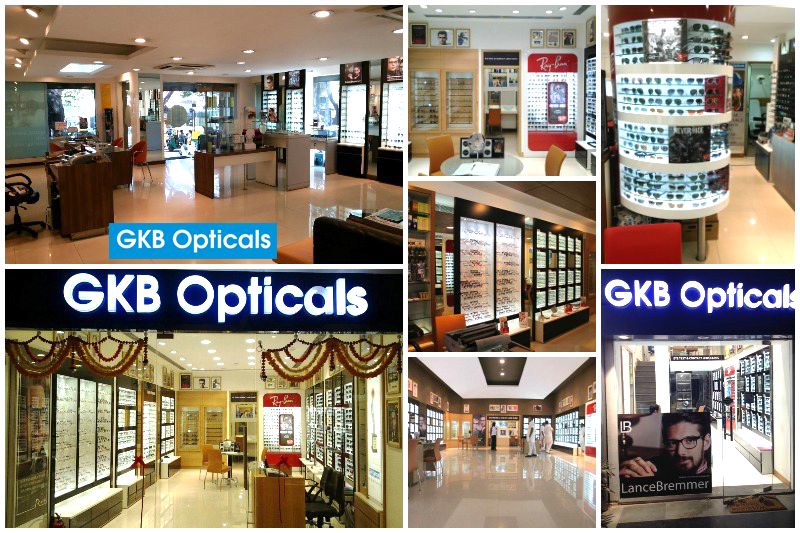 GKB Opticals has 71 stores across India with multiple stores in Kolkata, Delhi, Chennai, Bangalore, Delhi and Mumbai. This makes it easier for users to see the product, wear it and feel it before they finally order it. Buy from a store if you feel that you are not sure about your eyeglasses details and the spectacles online are not attractive for you. At any GKB Opticals store near you, there’s the option to get great benefits from the discounted prices. The branded eyewear collection is now available at a whopping 30% discount, so there’s no point in holding back. GKB Opticals presents personalised eyecare with each purchase, whether made on the website or through the stores; you will get the best of the deals and collection. All you need is to have your eyeglasses details ready with frame size, brand preference and power details. Soon you will receive your eyeglasses, complete and in the best condition at your fingertips. Are You Buying The Right Glasses For Kids?